The common Clothes Moth is very destructive. Most of the damage to clothing occurs in dark areas. The Clothes Moth will feed on; clothes, carpets, rugs, and upholstered furniture. 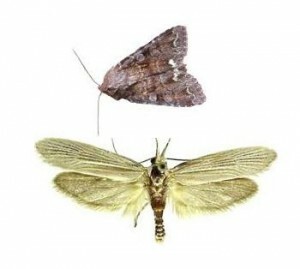 Moth Pest Control Measure: All cracks and crevices in infested areas should be treated with a residual insecticide. A dusting of dry powder insecticide under carpet edges, should be considered.